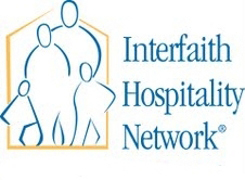 The Interfaith Hospitality Network (IHN), a collaboration of 32 local faith communities and Keystone Opportunity Center of Souderton, provides shelter and social services to 16+ homeless families each year from the Indian Valley of Montgomery County and Upper Bucks County. The IHN brings us together to help our guests regain their housing, their independence, and their dignity when life’s misfortunes happen: job loss, disability, fire, domestic violence, and more. It affords an opportunity for volunteers within our church to supply meals, transportation and offer companionship to these families - right here on the church premises - during the month of May. For further information, contact the church office 215-723-3088 or churchoffice@soudertonmennonite.org. Located in Camden, NJ, UrbanPromise has created a safe place for young people with after school programs, boat building, expeditionary and experiential learning, college tours, faith development opportunities, and a host of other activities. But the core of this organization will always be about relationships and the message that every child and teen is wonderfully created in the image of God. Once or twice a year, UrbanPromise visits us here at SMC to share their vision and hopes for the future. To learn more about this organization, click the link above. The Food Pantry serves over 200 qualified households of Souderton Area School District as a monthly food resource. It is supported by donations from local churches, service groups, families and individuals. All of our food is to benefit those in our community in need. Our church members donate hundreds of pounds of food throughout the year. The Worm Project is a global initiative that strives to relieve the suffering of millions of children. The program distributes pills around the world, which purge worms from the intestinal tract. Each pill costs a few cents and is good for six months! Their goal is to give attention to the most humble — the sick and worm-infested children who seem to have few opportunities to rank on anyone’s priority list. Souderton Mennonite Church raises funds for this project throughout the year and collects donations via small WORM Project piggy banks. Stop by the church office and we'll give you a piggy bank!